Back home, back to studying for orals and writing my Master's Paper. (Note: I passed my orals and finished all the requirements for my Masters by May of 2004). 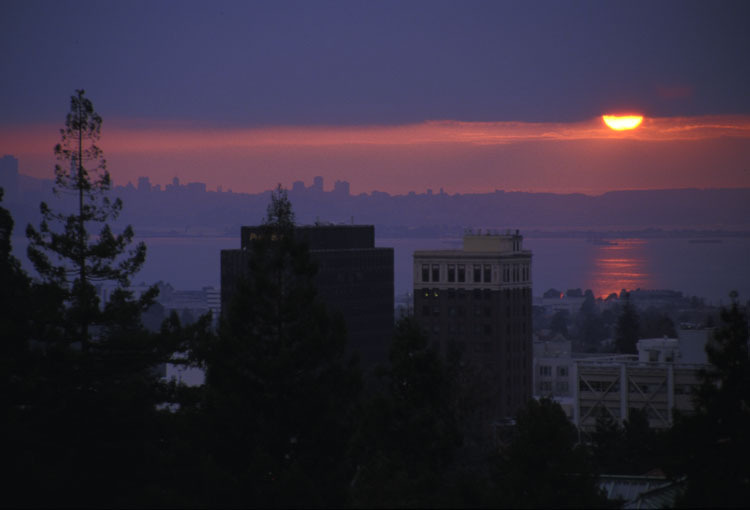 This was a nice sunset from the balcony of McCone Hall, the Geography and Earth and Planetary Science building in Berkeley.